A smooth, graceful neckline portrays a sense of refinement that serves to enhance a person's overall appearance. Through neck contouring surgery, a cosmetic surgeon can help patients of any age achieve the naturally beautiful neckline they desire. 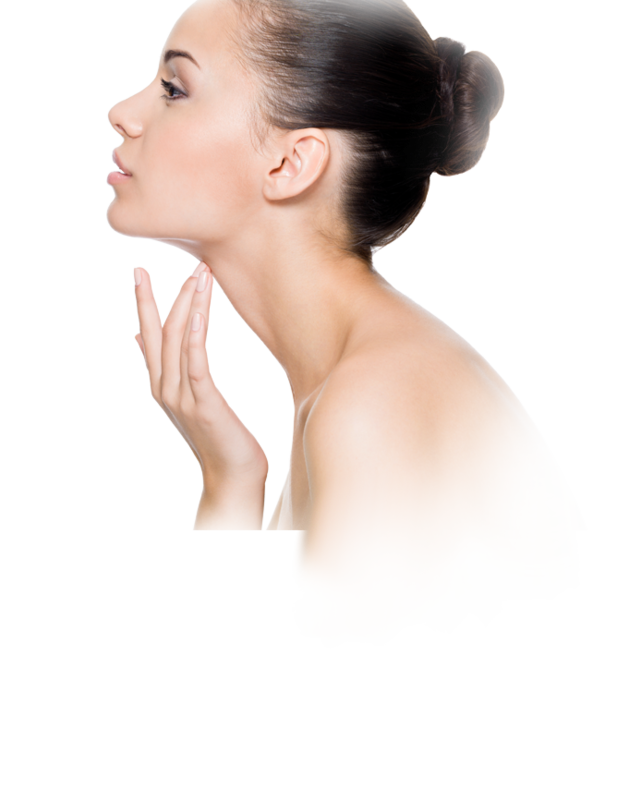 Learn more about neck contouring surgery below. Neck contouring creates a firmer, smoother and more refined appearance to the neck and chin. Even without making any other changes to the face, improving a thick, wrinkled or sagging neck can dramatically improve a one’s appearance, helping a patient look years younger or even as though he or she has lost weight. Neck contouring can also help restore balance to facial features by providing a better defined jawline that frames the rest of the face. Neck contouring isn’t defined by a surgical technique, but rather the patient’s aesthetic goals. A cosmetic surgeon will use a completely different surgical approach for a patient who wants to reshape a full chin versus a patient who wants to eliminate a sagging “turkey neck.” Neck contouring can be performed as a single procedure, or be combined with other facial cosmetic surgery procedures for more comprehensive improvements. Because liposuction removes excess fat, but cannot significantly improve sagging skin, the typical neck liposuction patient will be younger, his his or her 20’s through early 50’s, as younger patients typically have good skin elasticity, which is necessary for the skin to contract smoothly and evenly after liposuction. Learn more about liposuction techniques. If you are bothered by sagging, loose skin on your neck, then a neck lift surgery procedure, may provide a solution. You may hear neck lift surgery referred to as cervicoplasty (to remove excess skin) or platysmaplasty (to tighten loose neck muscles). Cosmetic surgeons will perform one or both of these procedures to tighten loose neck muscles and remove excess, sagging skin, restoring a smoother, firmer, and better defined appearance to the neck. A neck lift procedure is typically performed as an outpatient procedure under general anesthesia or intravenous sedation. Your cosmetic surgeon will make a small incision behind each ear, and depending on your needs may also make a third small incision underneath the the chin. Through these incisions, he or she will tighten the neck muscles and/or underlying tissues and remove excess, sagging skin to restore a smoother, firmer, and more youthful appearance to the neck. Recovery time after a neck lift will depend on the individual, as well as the extent of surgery. Typically, patients return to daily activities, including a return to work, within 2 weeks after surgery. Expect your neck to feel tight for a few weeks, and know that bruising and swelling are normal. These effects should subside gradually, with visible bruising typically gone after the first week, and that “tight” feeling remaining for up to several months. Your cosmetic surgeon will provide you with detailed instructions for recovery and aftercare. Chin augmentation. A skilled, qualified cosmetic surgeon can insert a custom-fit chin implant during a neck liposuction procedure, typically using the same incisions, to refine the neckline and add definition to a weak or receding chin. Improving the appearance of the neck requires a surgeon to understand the unique relationship between the anatomy of the face and the neck, and how each contributes to a patient’s natural appearance. To perform neck contouring safely and successfully, a cosmetic surgeon must have experience in multiple facial cosmetic procedures as well as a highly-developed aesthetic eye. However, many doctors who practice cosmetic surgery do not receive adequate training in aesthetic face and neck surgery in their residency training, so it’s important to do your homework before choosing a cosmetic surgeon. Choosing a board certified cosmetic surgeon ensures that your surgeon is specifically trained and experienced in cosmetic surgery, including all facial procedures, and that your procedure will be performed in an accredited surgical facility. Read our tips for choosing a cosmetic surgeon. When consulting with a potential cosmetic surgeon, ask about his or her experience with neck contouring, facelift surgery, and liposuction, and view before and after photos of prior neck contouring patients during your consultation—this will help you get a feel for a cosmetic surgeon’s aesthetic style. When performed by a qualified cosmetic surgeon, neck contouring can achieve dramatic improvements with small changes. If you are unhappy with the appearance of your face, neck or chin, consulting with a board certified cosmetic surgeon can help you learn more about your options to make lasting changes. We invite you to use our ABCS Find-a-Surgeon tool to find cosmetic surgeons in your area. Neck contouring can include liposuction to refine a full chin or a neck lift to tighten sagging tissues & remove a "turkey neck."